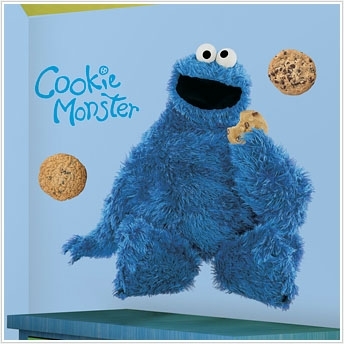 C is for cookie, that's good enough for me! Kids will love the addition of this giant Cookie Monster wall decal to their bedroom walls. At almost three feet high, it's sure to make a statement! Completely removable and perfectly paired with our other Sesame Street products for a full room effect. Just remember... cookies are a good sometimes food!